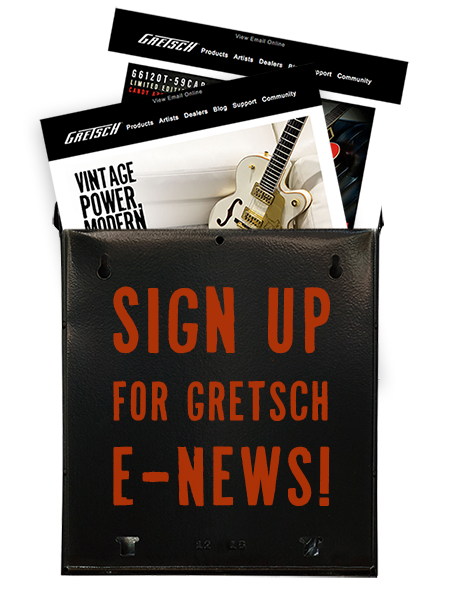 Emory’s history with Gretsch dates back to his teen years when he was first smitten by the playing of Eddie Cochran, whose grave at Forest Lawn in Cypress, Calif., he would hang out at with friends. 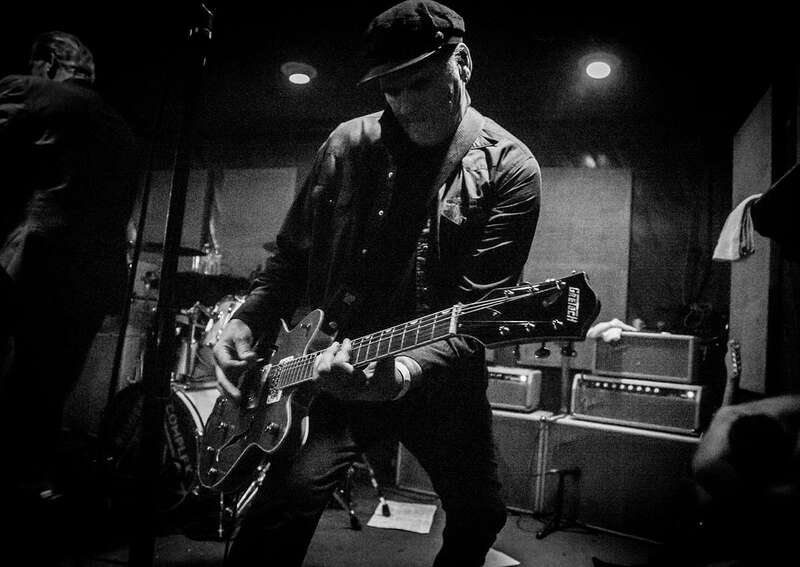 Over the last 40 years, Gretsch guitars have been right at home with Emory on stage with his punk rock band, starting with his initial purchase of a Corvette. Another Corvette served him up parts that he used to even build his own Gretsch after being inspired by rock and roll pioneer Bo Diddley. As chance would have it, Emory later met the inspiration behind his guitar backstage at The Music Machine venue in Santa Monica, Calif., and took the opportunity to get his guitar signed. Unfortunately, a relationship gone sour resulted in a storage sell while Emory was out on tour with T.S.O.L and all he has left is a photo of the autographed guitar. Fortunately though, he’s continued to find other Gretsch models that have inspired him — from Falcons to Anniversary models to Silver Jets. And as Gretsch has progressed, Emory has found that the newer models are really something special. Watch more from our in-depth interview with Emory below, and to keep up with all things T.S.O.L, be sure to give them a Facebook follow.